Manchester United have the opportunity to move within two points of Chelsea and the Champions League places with victory at Leicester City this afternoon. Ole Gunnar Solskjaer dropped points for the first time midweek as we were held 2-2 at Old Trafford by Burnley. The caretaker manager will be looking to get back to winning ways in his 10th match in charge this afternoon. Leicester City do start today’s game in the bottom half but have taken positive results against Liverpool, Manchester City and Chelsea in recent months. We were 2-1 winners against the Foxes at Old Trafford to kick off the 2018-19 Premier League season. Eric Bailly makes his first Premier League start of the New Year since his dismissal against Newcastle United at the end of 2018. The Ivorian comes into the starting lineup ahead of Phil Jones, who drops to the bench. Ashley Young captains his side for a third time in the space of a week. 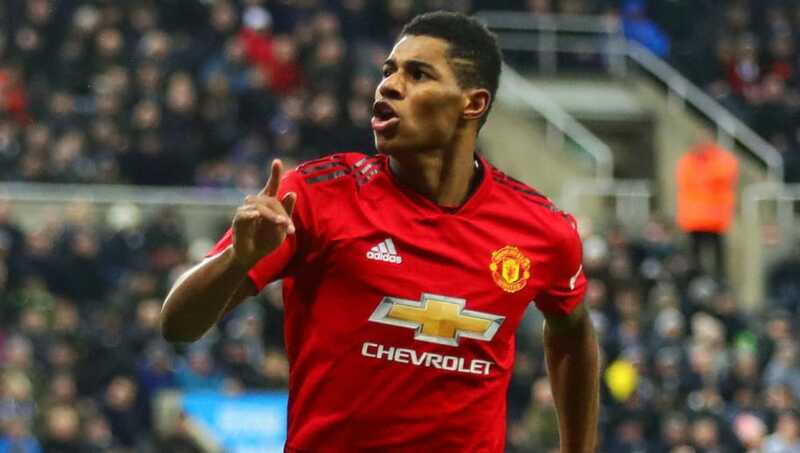 The boss has bench Romelu Lukaku after a quiet showing versus Burnley midweek as Marcus Rashford moves back into the central striker role where he has been effective under Ole. Alexis Sanchez and Jesse Lingard will flank him down the wings in our 4-3-3 formation, with Juan Mata and Anthony Martial both among the substitutes. Solskjaer has stuck with his preferred central midfield three but Fred is among the substitutes should he wish to change anything in-play. The Norwegian dropped Ander Herrera for Andreas Pereira midweek but the Spaniard is back into today’s lineup from the start. Avoiding defeat would move Leicester City back into the top half of the Premier League table. They came away with a 1-1 draw at Anfield midweek. Youngster Harvey Barnes gets a start, likely to play in a number 10 role behind Jamie Vardy. The attacking midfielder is very creative and has a good long-range shot on him. Nemanja Matic will likely be tasked with keeping the Englishman quiet in front of our back four. Former-Manchester United centre-back Jonny Evans will partner Harry Maguire as Wes Morgan is only among the substitutes. Peter’s son, Kasper Schmeichel will try to thwart us between the sticks once again.